Alan J. Christensen is Associate Professor and Director of Clinical Training in the Department of Psychology and Associate Professor in the Department of Internal Medicine at the University of Iowa. Dr. Christensen received the 2000 American Psychological Association Distinguished Scientific Award for Contributions to Behavioral Medicine Research, awarded by the Society of Behavioral Medicine. Michael H. Antoni is Professor of Psychology and Associate Professor of Psychiatry at Miami University. Dr. Antoni is Director of the Center for Psycho-Oncology Research and Editor of the International Journal of Behavioral Medicine, Psychology & Health. 4. Adherence in the Management of Chronic Disorders: Jacqueline Dunbar-Jacob (University of Pittsburgh), Elizabeth A. Schlenk (University of Pittsburgh) and Donna Caruthers (University of Pittsburgh). 7. Diabetes: Linda Gonder-Frederick (University of Virginia Health System), Daniel J. Cox (University of Virginia Health System), and William L. Clarke (University of Virginia Health System). 10. End-Stage Renal Disease: Alan J. Christensen (University of Iowa) and Katherine Raichle (University of Iowa). Brings together the most prominent figures in behavioral medicine today. Promotes a biopsychosocial approach to caring for those with chronic physical disorders. 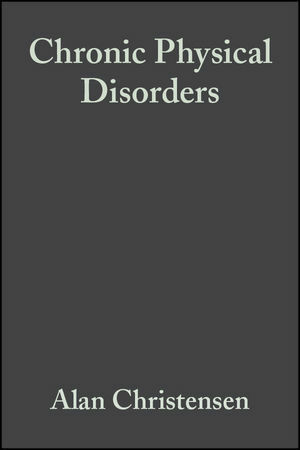 Highlights broad theoretical issues in the first section and specific physical disorders in the second section.